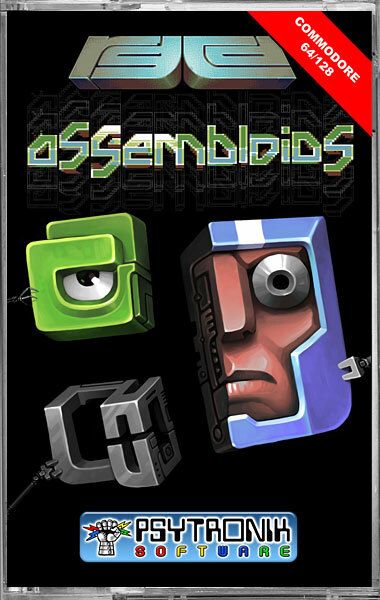 Assembloids is a C64 conversion of the excellent flash game Quartet (originally by Photon Storm). The idea of the game is to move tiles into four available areas on screen to assemble complete faces. You get more points if you make a 'full face' with matching colours - but you have to think fast as the timer is relentlessly counting down! 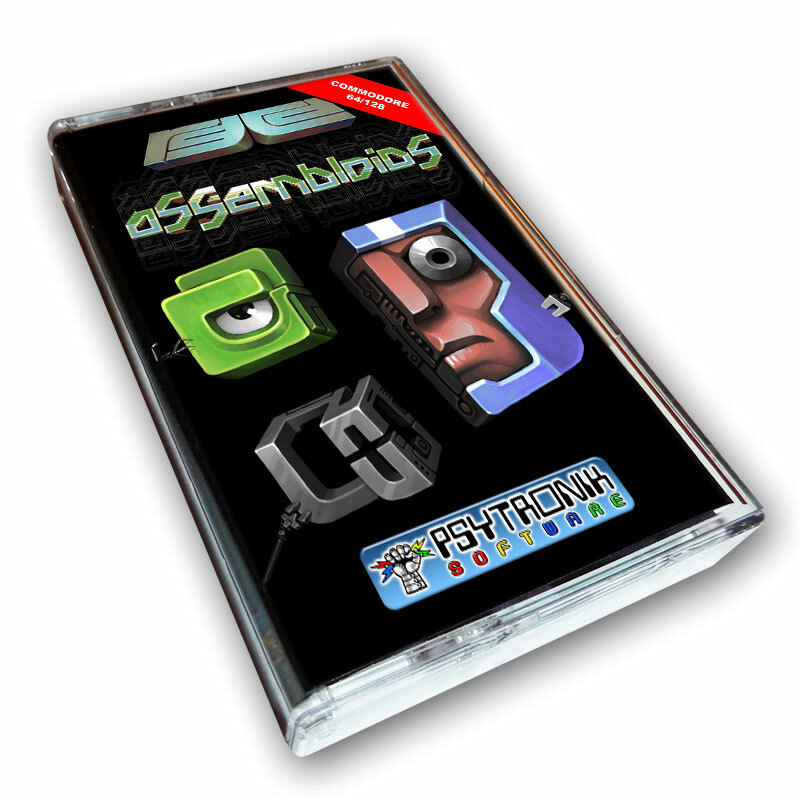 The Psytronik tape version of Assembloids is presented in a clear cassette case featuring superb full-colour cover artwork by Ilija Melentijevic. Please note that this game will be released by Psytronik on TAPE only (no disk release will be made available) and on CARTRIDGE from our friends over at RGCD. Click PLAY to see Assembloids in action!